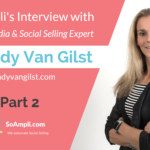 LinkedIn recently joined the social media big league with a revamped newsfeed and some exciting new features (including, most recently, the ability to upload native videos onto the platform), giving salespeople even more opportunities to connect with prospects and clients. This new found maturity means it is more similar to other social media networks we’ve grown to know and love, and therefore easier to use. It is a brilliant platform to connect with prospects, customers and industry experts. Because of its highly professional nature, some of us may have hesitations on how to use it, wondering what should and shouldn’t be considered appropriate. Post about things you care about and that your followers will care about as well. If you are you an expert on something, why not write an article directly on LinkedIn and then ask to share it on your company page? 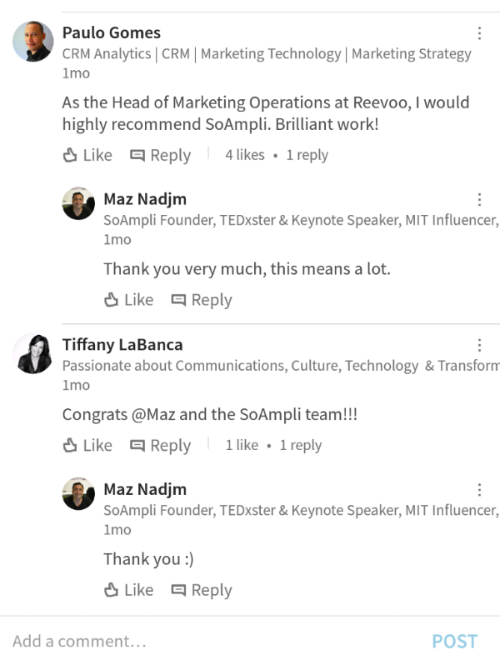 Compared to other social media channels, LinkedIn is still not too crowded, and you make the most of it by sharing insights, opinions and experiences that are uniquely and truly yours! Yes, hashtags are a #thing on LinkedIn and they are a wonderful way for your prospects to find content relevant to them. Our suggestion is to never waste an opportunity to use a good hashtag. 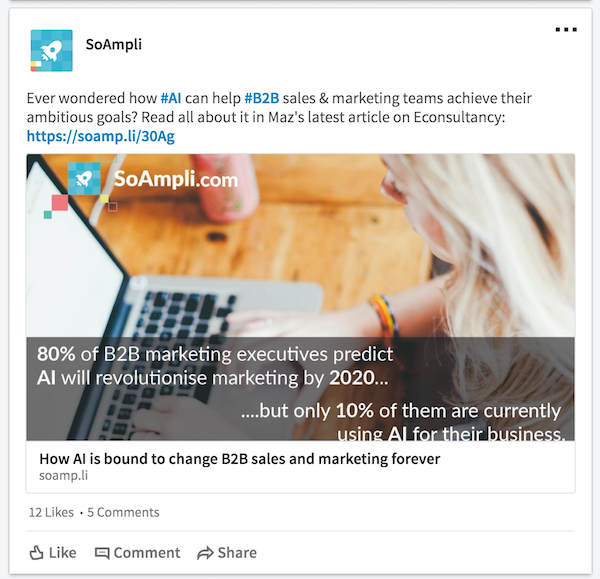 It is becoming more and more common to see popular posts on LinkedIn with a list of industry-related hashtags at the bottom of the message, an Instagram-style technique to help boost the reach of your most public and interesting messages. As always on social media, don’t underestimate the power of beautiful visuals! 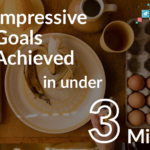 An eye-catching image – maybe with some interesting stat or quote on it – will help you add extra emphasis to your posts, making them stand out in your connections’ feed! 3. Engage with other people’s content! Chances are, when you engage with your connections in a meaningful way, they will notice and do the same with you. 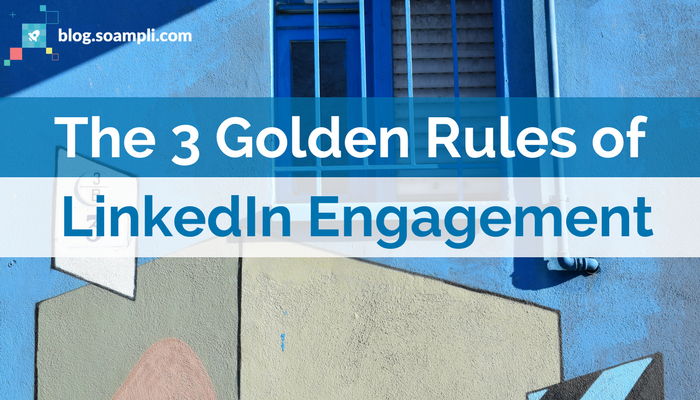 Linkedin is the place to connect with like-minded business people, prospects, and clients, so make sure you are an active member of the community! Think of engagement as a strategy that entails different levels of effort, helping you be noticed by the people you want to connect with. If you’re not sure where to start, you can begin with liking posts and articles that you find particularly interesting. Once you feel more comfortable, you can start re-sharing your connections’ posts, making sure you add your own personal touch to it. At the same time, if you have something to add to a conversation, or you simply want to express appreciation for a specific piece of writing, don’t be shy! That’s what comments are for, and you’ll be surprised by the power sharing positive feedback can have. When other people comment on the content you are sharing, make sure to always acknowledge it and bring the conversation forward!